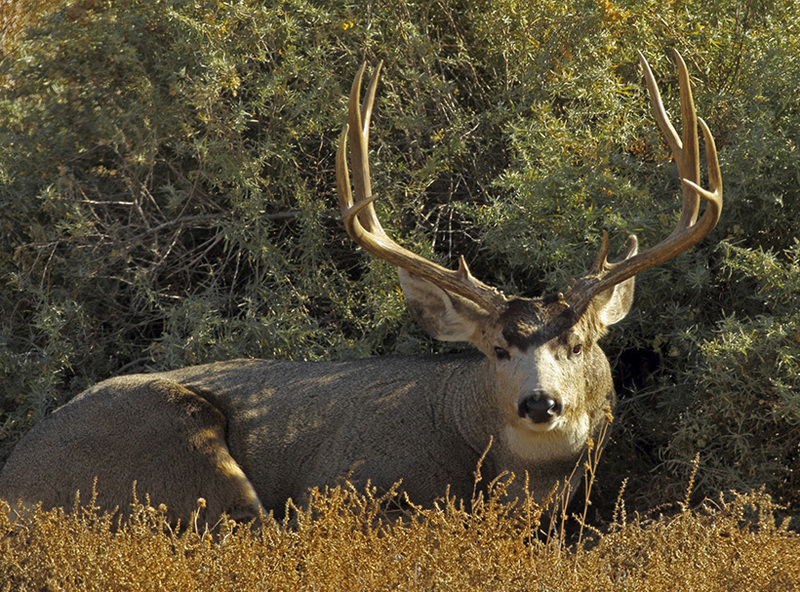 5 day Muledeer Hunt - Archery or Rifle - Unit 46 Private No Draw Needed. * We have 5000 acres of private ranch land in northern New Mexico's unit 46 . This area of New Mexico is all private land near Angel Fire and Eagle Nest, so there is no lottery drawing for hunting permits. All licenses are acquired through the various landowners. * Hunt cost includes the landowner voucher (guaranteed tag) meals, guide, lodging, transportation and trophy care. Lodging is in a private 5 bedroom 5 bath lodge located on the ranch. There will be no more than 4 hunters on either ranch at any time. Not included is the Non Resident Hunting License ($260) and tips. * The hunting technique used is typically ambush so as not to bump the deer off the ranch. Early season hunts may include sitting over a water hole. We have tree stands available. * Every year 2 to 4 bucks are taken that score in the 180-200 range. There have been bucks taken in excess of 200. Hunt ratio 2 x 1 Lodging, Meals, Transportation and in field processing of trophy included.